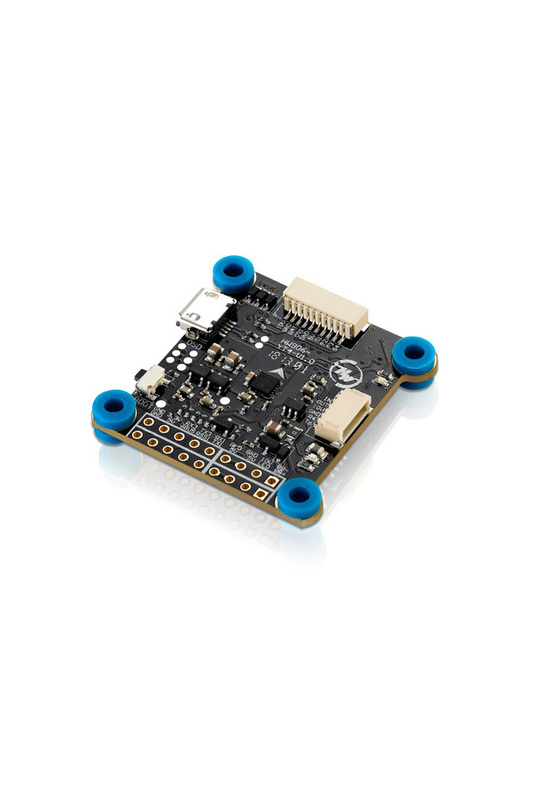 This 2nd generation F4 Flight Controller from Hobbywing is the FC of choice for many of the leading FPV Pilots in the world, including Minchan Kim, Milk FPV, Gapit FPV, Banni UK; just to name a few. And for good reason, it was designed for intense competition. The FC is built with premium components that won't let you down on race day. 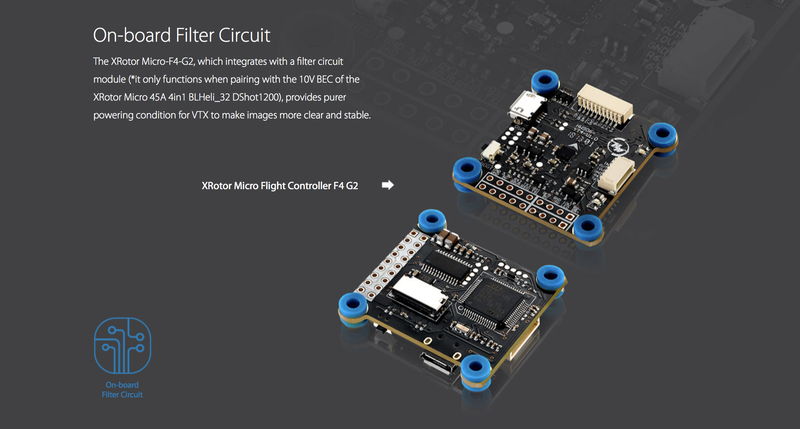 The FC features the best specs for today's racer such as an onboard SD slot, LED strip, STM32405, ICM20602, and onboard filter circuit for your VTX (when used with 10v BEC on the XRotor Micro 45A ESC). 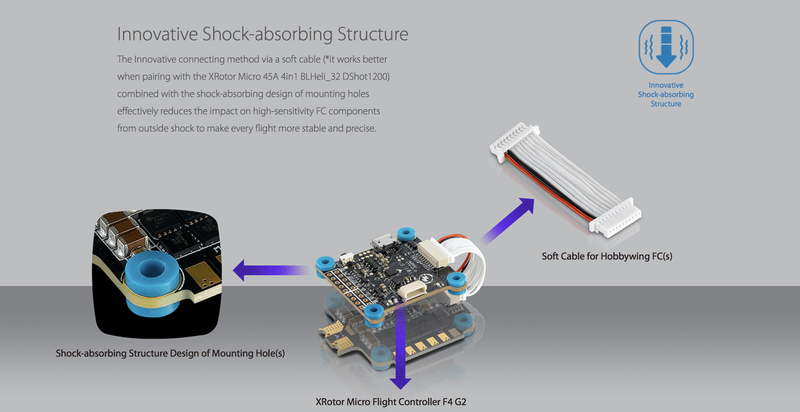 Lastly, plug and play technology allows the XRotor F4 to be compatible with the Hobbywing 4in1 ESC providing a clean and easy solution for your next build. 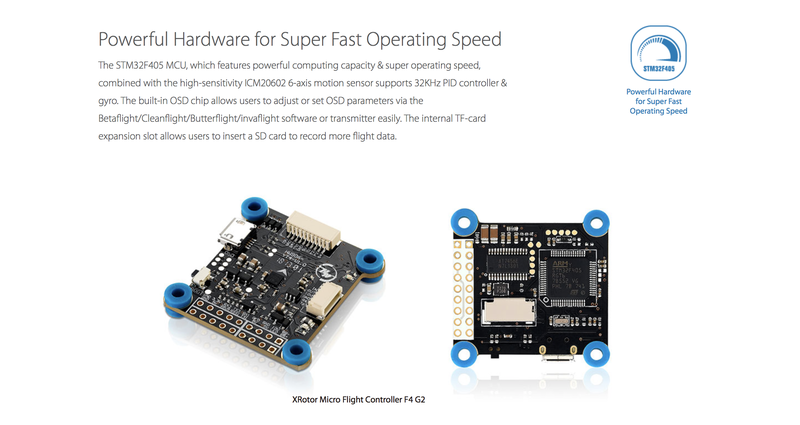 Redesign every aspect STM32 F405 MCU allows the FC to run the PID looptime and gyro with higher frequency. 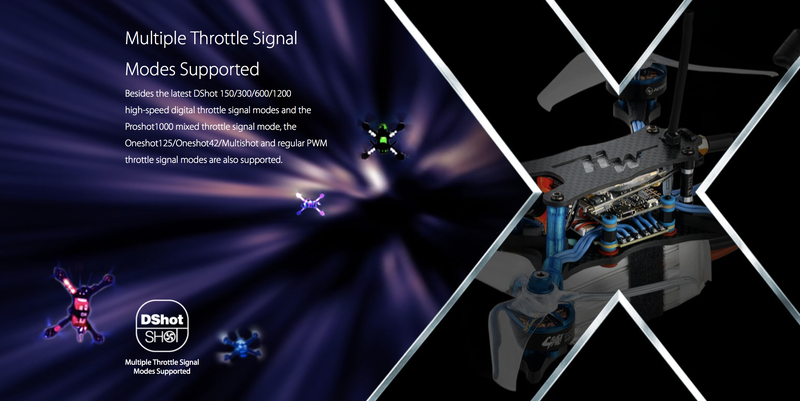 Compatible with various receivers likes SBUS, SUMH, SUMD, SPEKTRUM 1024/2048, XBUX, PPM, etc. 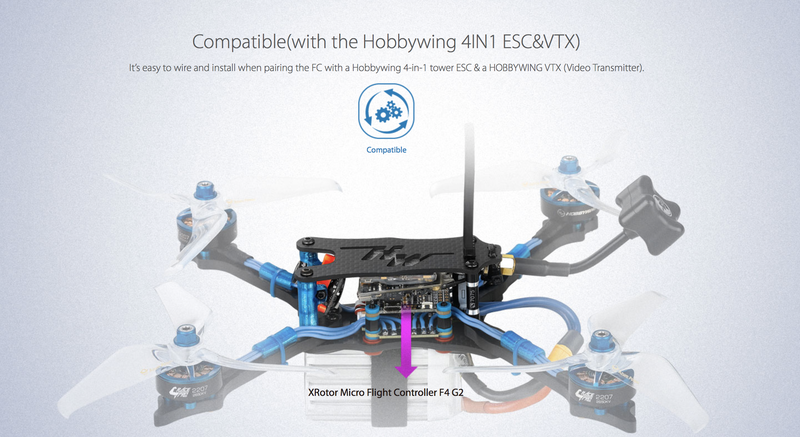 It’s easy to wire and install when pairing the FC with a Hobbywing 4-in-1 tower ESC & an HOBBYWING VTX (Video Transmitter).